...belongs to the raised mid-class hotels. 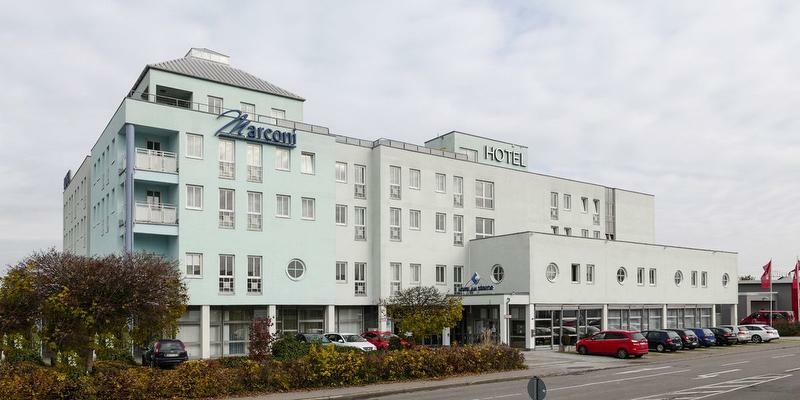 The hotel Südtor - Marconi in Backnang near Stuttgart has modern and comfortable single and double rooms available. These rooms offer a highest degree of comfort. In february 2011 our former hotel "Am Südtor" was changed into the new and exclusive hotel Südtor - Marconi. All the upgraded rooms in our hotel in Backnang are aiming at generosity and elegance. We are always keen to do our very best that your habitation in our new hotel Südtor - Marconi in Backnang will be as comfortable as possible. All the rooms of our hotel Südtor - Marconi in Backnang have a bathroom with shower and WC and they are featured with a direct dial telephone and a WLAN-internet access and cable/SAT television available. The hotel Südtor - Marconi possess different conference or seminar rooms with extensive equipment and a professional service. S3 direction "Backnang" to "Backnang", change into Bus 384 direction "Althütte Strohhof" to "Backnang Kreiskrankenhaus", then appr. 9 minutes walking distance. Front desk open 6:00 a.m. until 10:00 p.m.